Are you looking for a way to give back to your community? Do you want to have a direct effect on the people in your community? Do want to help extend the reach of Geauga County’s Safety Forces? 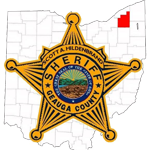 Join the Sheriff’s Auxiliaries, help the Sheriff and his Deputies in their mission to keep Geauga County Safe. Learn Traffic control, Radio operations, be the extra set of eyes at events. Do a ride along with Deputies, help with Public Relations. And if you have a horse and the gumption to ride, apply for the Geauga County Sheriff’s Office Mounted Unit. Looking for friendly horses, and riders of course, for Patrol, Search and Rescue, and parade duty! 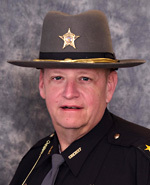 Contact Commander Travis Fasko, (440) 279-2009 extension 4733, TFasko@co.geauga.oh.us.